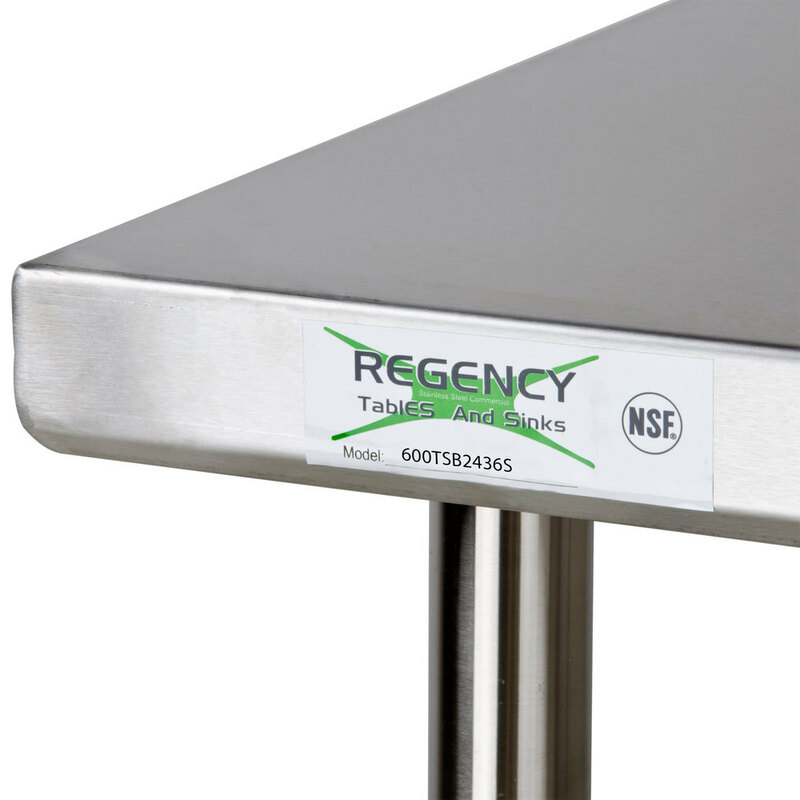 This Regency 24" x 36" stainless steel commercial work table with backsplash and undershelf is a great addition to busy commercial kitchens. 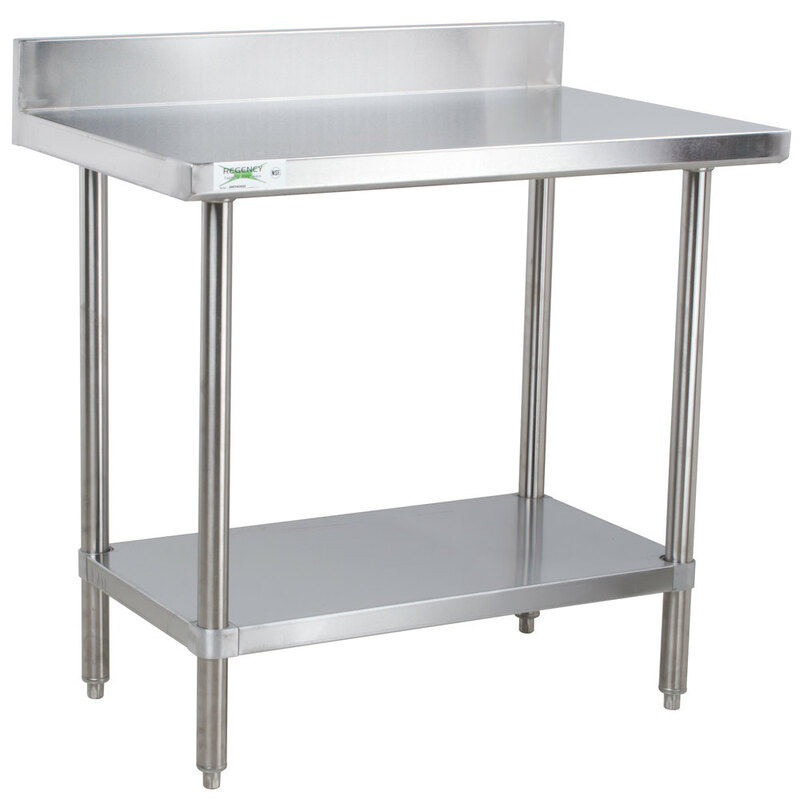 Constructed from durable, easy-to-clean 16-gauge, 304-series stainless steel, this work table offers superior corrosion resistance and durability compared to other work tables in this price range. 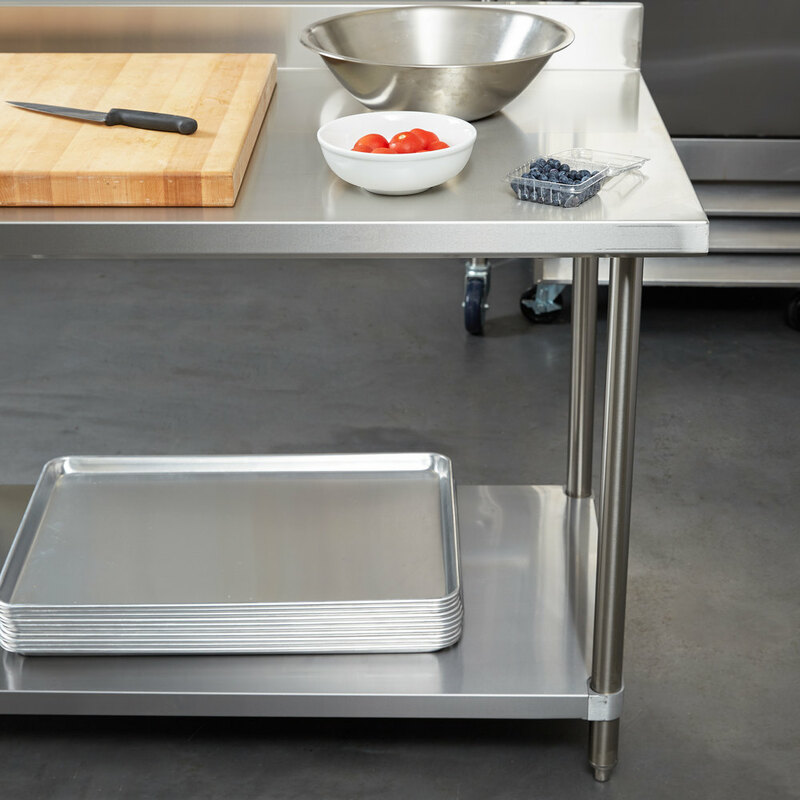 Due to its all-stainless steel construction, it's built to withstand the daily tasks in your restaurant, cafe, or bakery. To protect your walls during food prep, this work table features a 4" backsplash with a 1" return. 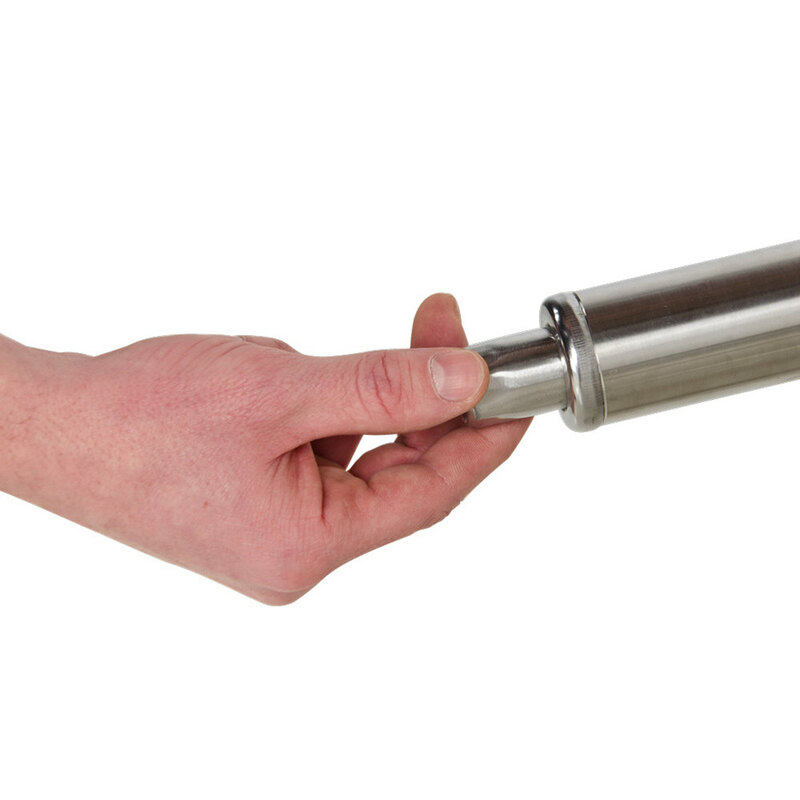 Ideal for rolling out dough or chopping fruits and vegetables, it's suitable for a variety of tasks. The adjustable undershelf is made of 18-gauge, 430-series stainless steel and secured with a set of screws. With the ability to hold up to 530 lb. of evenly distributed weight on the top shelf and 320 lb. on the undershelf, this work table provides additional storage for ingredients and supplies in one convenient location. Plus, a height of 34" allows you to can create a comfortable work station for your employees. 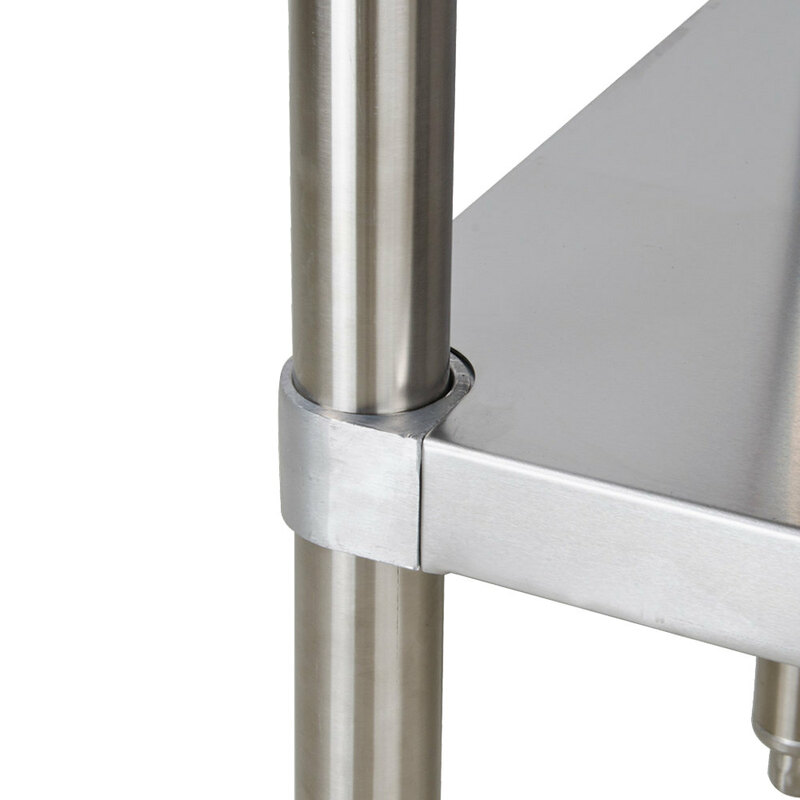 For increased stability, the legs of this work table are 1 5/8" in diameter and are made of tubular stainless steel with adjustable, stainless steel bullet feet to easily accommodate uneven floors.